Absolutely beautiful grounds, welcoming staff and gorgeous views of the lake! Lucas and Rosa added to the serenity of the place with their kindness. Rosa is welcoming and warm. Lucas is calm and has a serene energy that added to the specialness of this place. I enjoyed his delicious meals in the mornings and evenings. I was well looked after here. 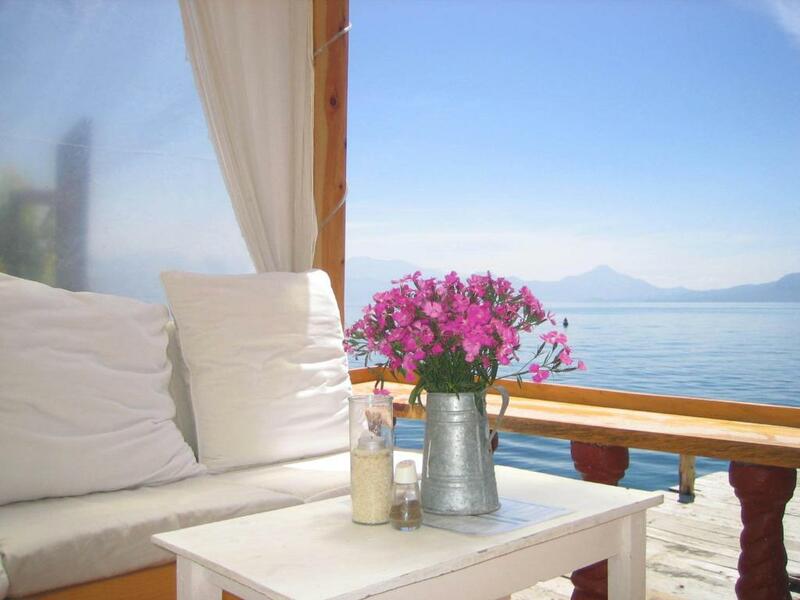 La Casa Rosa is the perfect place to the watch the lake, the sky, the volcanoes and to listen to the lapping of the lake water. If the peace of this spot is too much, it’s a quick boat trip to any of the towns. Panajachel is about 15 mins. away. The hotel and gardens are beautifully designed with many areas to find privacy and a few spots to meet others if you choose. There are few words to describe how breathtakingly beautiful Lake Atitlan is. La Casa Rosa is the perfect place to experience it. I loved everything about this place. I will be returning to this gem of a hotel. Beautiful landscapes an sunset from the bar and dock. Great location, next to the port on the water, friendly staff, good wifi, clean and a nice big garden with a private jetty to enjoy sunset. Very nice stay! I spent a week at La Casa Rosa and learnt Spanish at the nearby school. It was a fantastic experience! Living in the side of a mansion with a lake and volcano view! The garden is also incredible and the manager Fernando speaks English and was so friendly and helpful. We introduced the idea of Salsa Classes in the Bar and the manager excelled himself with an energetic and amusing one hour exhibition and dance lesson that left us all hot, happy and ready for more.... do ask him to do the same for you and some friends. Rosa and the young staff were overly friendly and helpful. The food was delicious, especially the happy hour smoothies. Rosa is a warm and welcoming host. The breakfasts were excellent. 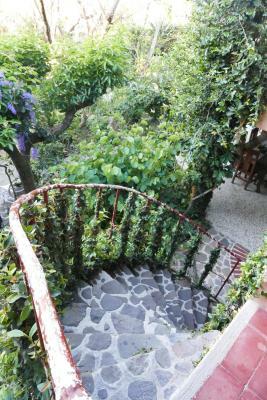 Hotel is set in a beautiful well maintained and large garden. Lovely location right on the waterfront. Hotel La Casa Rosa This rating is a reflection of how the property compares to the industry standard when it comes to price, facilities and services available. It's based on a self-evaluation by the property. Use this rating to help choose your stay! Some of the attractive activities you can have here are fishing, hiking or yoga. Guest may also relax with a soothing massage or with the sauna. In the main building you can find the restaurant that will provide its guests with local, international and Asian food. The colorful rooms have traditional and rustic-style furniture and beamed ceilings. Guests can only access to La Casa Rosa by boat, which they can take from Tzanjuyú dock in the Panajachel area. The travel will take about 20 minutes until you reach the hotel dock. When would you like to stay at Hotel La Casa Rosa? Colorful rooms, located in the main building, are furnished with rustic-style elements, have beamed ceilings, and some of them may have a balcony. 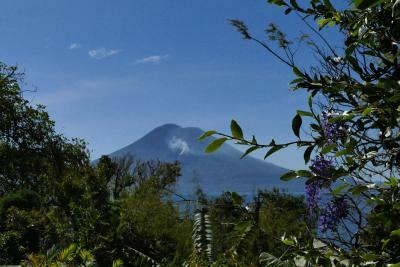 Rooms offer views to the mountains, volcanos and the lake. Colorful rooms, located in the bungalows distributed through the gardens, are furnished with rustic-style elements. Bungalows are surrounded by trees and within steps from the lake, providing views of the lake and the mountains. Bungalows are surrounded by trees and within steps from the lake, providing views of the lake and mountains. House Rules Hotel La Casa Rosa takes special requests – add in the next step! Hotel La Casa Rosa accepts these cards and reserves the right to temporarily hold an amount prior to arrival. Guests need be quiet between 8:00 PM and 9:00 PM. Guests may arrive by boat only, which they can take from Tzanjuyú dock in the Panajachel area. They will arrive into the Santa Cruz dock, located 150 feet away from the hotel. Please inform Hotel La Casa Rosa of your expected arrival time in advance. You can use the Special Requests box when booking, or contact the property directly using the contact details in your confirmation. We didn’t have hot water at night time, but we didn’t follow it up so it may have been turned off. I’ve stayed at Casa Rosa twice, once in 2010 and again in December 2018. Casa Rosa is well located just a short distance from the doc but far enough away to be pretty quiet. It has a lot of charm, with lush, mature landscaping, quiet grounds, and a thatched roof bar/restaurant on the edge of Lake Atitlan that is superb for relaxing and enjoying the gorgeous view of the lake and volcanos. The staff are all super friendly and helpful and they endeavored to make our stay pleasant. That said, Casa Rosa needs to address a few issues. For the $60/night rate for two I expect a little more quality, compared to other places I’ve stayed in Guatemala, such as Antigua. The rooms continue to be a bit funky. One recent reviewer raved about all the changes being made at Casa Rosa and while I did see a hallway being painted, much about the rooms was the same as our 2010 visit. Our room was nice in that it was on the second floor and had a peaceful filtered view of the lake from the windows and the patio in front of the room. We had a double bed with clean sheets and nice pillows. However, the bed was squeezed in a narrow area such that we had to crawl over the end of the bed to get in, which was a bit awkward for middle of the night bathroom runs. The paint in the room was old, in the bathroom the walls were dirty and there was mold all around the bathroom sink faucet. The mattress, though new, was extremely soft and my partner and I ended up rolling together in a dip in the center of the mattress. I recommend that as mattress’s are replaced, new ones be more firm. We were not provided filtered water, which is common at most hotels, nor was there a dispenser for filtered water easily accessible. This meant we had to find someone on the premises when we wanted to fill our water bottles. The lack of hot water in the shower. The shower in the bathroom was clogged. The room was not clean. It needs more attention the room was needs fixed. Our first night we found a scorpion. Not what I expected.